The timeless wisdom offered by the simple adage, “You are what you eat,” is as true today as the day it was first written. What we take into our body—through our diet, our skin, and from the air we breathe—literally becomes us. So it’s vital that the nutrients we provide our body from the foods we choose—proteins, vitamins, minerals, carbohydrates, and healthy fats—are of the highest quality. These become the building blocks for every cell in our body, including our hair follicles. It’s no wonder why strong, shiny, thick hair has long been considered a hallmark of vibrant health. The key to getting (and keeping!) luscious locks? Fresh, whole foods (supplemented as necessary with herbs and non-food based ingredients) that provide a full spectrum of hair-healthy nutrients. The hair follicle is one of the busiest structures in our body. Its many cells are constantly and rapidly dividing, requiring a continuous supply of nutrients to nourish and repair them, and create healthy new hair growth. 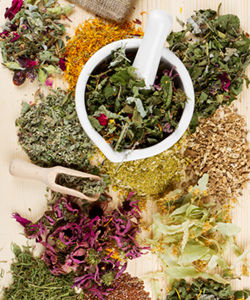 So what natural ingredients are most renowned for growing strong, healthy hair? Silica plays an important role in strengthening connective tissue throughout the body, including hair, skin and nails. 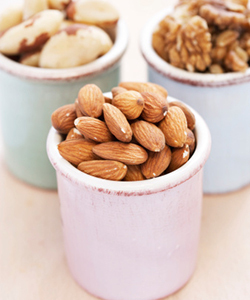 It improves resilience and elasticity of skin and helps strengthen nails and hair, earning it the nickname of “the beauty mineral.” Dietary sources of silica include nuts (especially almonds) and seeds, many fruits and vegetables including apples, oranges, cherries, carrots, cucumber, onions and cabbage, along with oats and unrefined grains. Herbal extracts of horsetail and bamboo are rich natural sources of silica. Sulfur is another mineral that imparts strength and resilience to the hair. It forms the chemical bonds that give physical structure to the hair shaft. 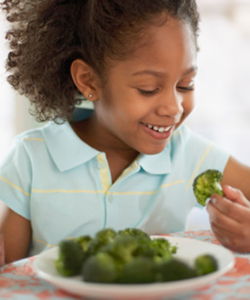 Sulfur-rich foods include garlic, onions, and vegetables in the mustard family such as broccoli, cauliflower, and cabbage. The sulfur-containing amino acids, cysteine and methionine, along with supplements such as methylsulfonylmethane (MSM), are additional sources of this powerful nutrient. 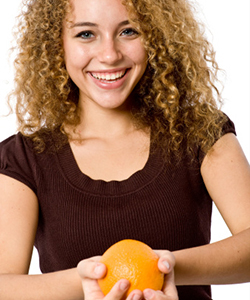 Vitamin C is an integral structural component of collagen, the most abundant protein in the body. Collagen provides strength and flexibility to the skin and scalp, which, in turn, protects follicles from physical stress (including grooming and styling). It is also a potent free-radical scavenger that helps protect the hair follicles against oxidative stress and damage. Because we’ve lost the ability to manufacture vitamin C ourselves, we must obtain it from our diet or via supplements. Rich dietary sources of vitamin C include red and green sweet peppers, citrus fruits, kiwi, guava, strawberries, and cantaloupe. Calcium ascorbate is a buffered form of supplemental vitamin C that is easily absorbed to provide optimal benefit. Vitamin A helps reduce bacterial overgrowth in the sebaceous (oil) ducts of the scalp which can otherwise cause a build up of sebum and lead to inflammation of the hair follicle. Like vitamin C, this vitamin is also a powerful antioxidant that protects cells from free-radical damage, and also helps maintain healthy mucous membranes. Top food sources of vitamin A include dairy products, fish, and fortified cereals, and eating brightly colored foods provides a form of its precursor, known as carotenes. 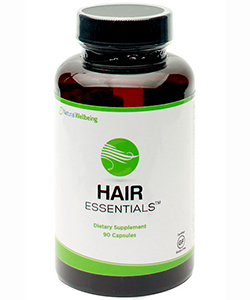 Biotin is a member of the B-vitamin family and is often called the “hair growth vitamin.” It plays an important role in cell division and DNA repair—and given that cells within the hair follicle are constantly and rapidly dividing, a steady supply of this essential nutrient is necessary for healthy hair growth. 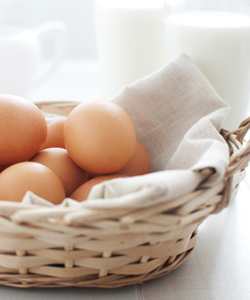 Biotin is widely available from many foods, including egg yolks, milk, nuts, rice, grains, and legumes, and though a deficiency of biotin is uncommon, it can cause hair loss (alopecia). Biotin also improves the metabolism of scalp oils, making the scalp a healthier environment for hair to grow in; either too much or too little oil on the scalp can impede or inhibit hair growth. Rice bran contains more than 100 different vitamins, minerals and antioxidants, and is a rich source of the moisturizing fatty acid, oleic acid. 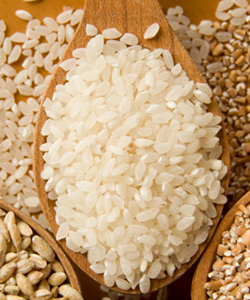 Amino acids in rice bran are incorporated into the protein (keratin) component that comprises the hair shaft, promoting stronger hair that is less prone to breakage and split ends. Herbs from the Orient including Fo-ti root (Polygonum multiflorum) and Eclipta (Eclipta prostrata) have been used for thousands of years as longevity tonics and for restoring gray hair back to its original color. According to traditional Chinese medicine, Fo-ti root (He Shou Wu) ‘nourishes the blood’ and fortifies qi, strengthening our overall vitality and promoting thicker, healthier hair growth. Eclipta (Han Lian Cao) has also been used to prevent premature graying and maintain vitality, and in the Ayurvedic tradition of India, it is considered especially beneficial for the hair. Nourish healthy hair from the inside out with these natural ingredients and nutrients, all of which are found in Hair Essentials, a leading dietary supplement designed to naturally stimulate healthy, faster-growing hair. Paulina Nelega, RH (AHG), is a registered clinical herbalist for Hair Essentials and has been assisting individuals facing hair loss for almost two decades. Hair Essentials is a breakthrough proprietary blend of more than 20 herbs, vitamins, minerals, essential fatty acids, amino acids and other nutrients. Learn more at www.HairEssentials.com.